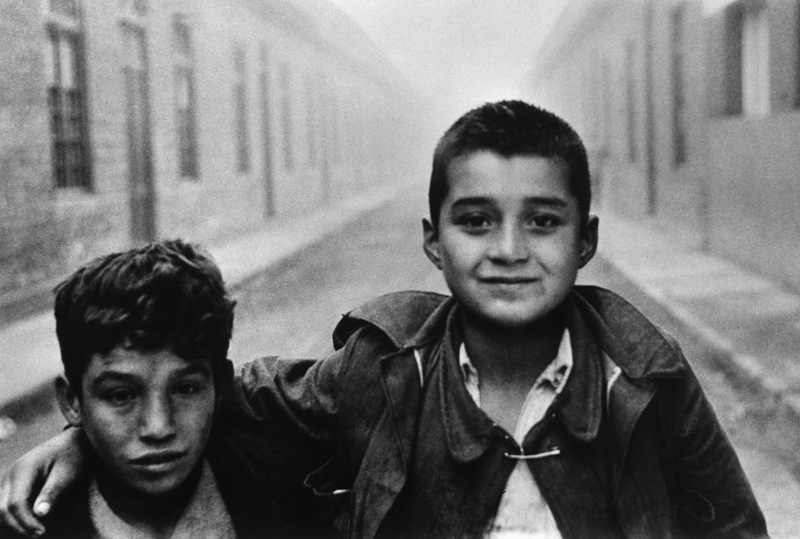 Street children in Santiago, 1957. In Santiago there is a vast population of vagabond children who beg in the parks, sleep anywhere they can, forming an independent sort of tribe in the middle of the city with their own language, customs, etc. They work with older men who use them for begging, teaching them the routine and habits and crime which is their only future. The kids are shy of the poor houses, because they are badly treated and fed. Often people give them money and food. They gather in clans, often run by older boys who hold a homosexual hold over them. On the whole the street is fun for them, and they prefer that to the safety of state institutions.